GDC 2016 has just kicked off over in San Francisco and already we've got exciting new VR hardware news. AMD has teamed up with Sulon Technologies to produced the Sulon Q – the "world's first and only all-in-one, tether-free, wear and play headset." 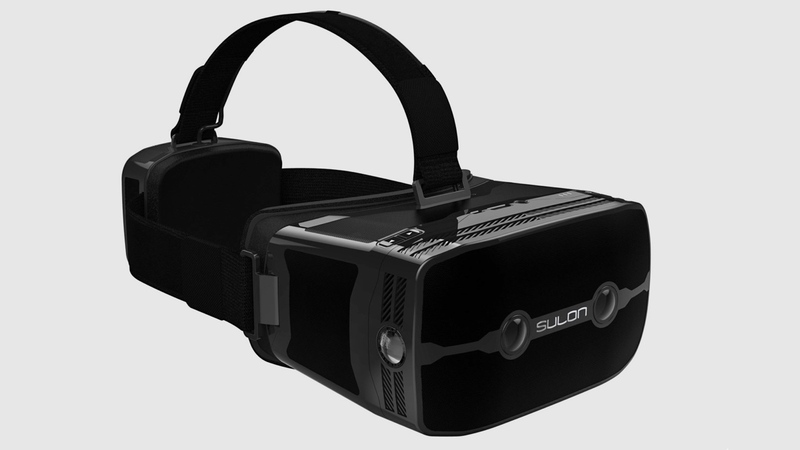 What that means in non-marketing speak is that the Sulon Q is a PC and a headset all in one. No plugging into a separate machine, no smartphone powering proceedings; the engine and visuals are all built in. That engine, created in collaboration with AMD, is an FX-8800P processor at up to 35W with Radeon R7 Graphics, combined with an advanced spatial processing unit, which "provides real-time environment mapping and tracking from the inside outward, dynamic virtualization for VR/AR fusion, and gesture recognition." Running Windows 10, the Sulon Q promises "videogame console-quality visuals". Those will be seen on the 110-degree field of view 2560 x 1440 OLED display. The snag – the headset looks pretty hefty and there's a big old component at the back packing in some of the hardware too. We'll reserve judgment completely until we get the official tale of the tape but, from looking at the video, it looks like a beast. Back to the positives though and the Sulon Q is promising to mix VR and AR, much like the Microsoft HoloLens. So it's not just an Oculus Rift or HTC Vive virtual reality rival. The headset ships with a pair of Sulon earbuds and the Q's creators are talking up the audio capabilities of the new headset, stating the AstoundSound technology means 3D spatial audio, which "lets you hear sounds within a complete spherical soundscape with advanced room simulation software algorithms that provide outstanding depth perception." It all sounds pretty impressive and, given AMD's involvement, we've no reason to doubt that the hardware is up to the task. But we just can't get past the size of the thing. We're hoping to have our mind changed when we see it in the flesh. There's no pricing details as of yet but the Sulon Q is expected to go on sale in the coming months.